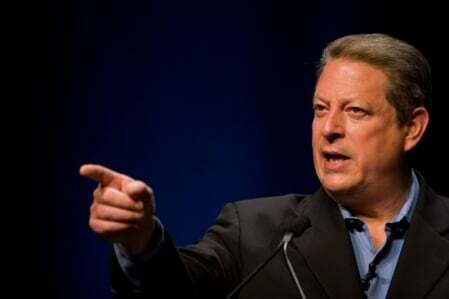 The easy tagline for this would be, “UN declares global warming to be a myth, Al Gore hardest hit.” The only problem with that is Al Gore has already become fantastically rich peddling nonsense about how we’re all about to die a fiery death and besides, since when have facts ever stopped liberals? Global warming alarmists, Al Gore, we need to talk. Well, this is awkward. A leaked report by the U.N. Intergovernmental Panel on Climate Change says that the world is not warming but is actually cooling, and will continue to get colder until the middle of the century. You remember the IPCC, right? It’s the group whose 2007 report on global warming said that snow would disappear from everywhere but the highest mountains, icebergs would melt causing sea levels to rise, deserts would spread, people would die in heat waves and pretty much the earth was going to end if we didn’t immediately destroy our carbon-fueled economy with job-killing government regulations. Well, that’s not happening. In fact, the Arctic ice caps have grown by 60 percent since 2012. All this nonsense about global warming is driven by politics. You want to guarantee that scientists say what you want about global warming? Well, you give grants to the scientists who agree with you and cut it off to those who don’t, control what gets punished, and demonize scientists who disagree with you — and you can beat people into submission….for awhile. But now, the scientific evidence has gotten so overwhelming that even the UN is quietly admitting that global warming is bunk. So, can we finally admit that conservatives were right all along about global warming while liberals were wrong?